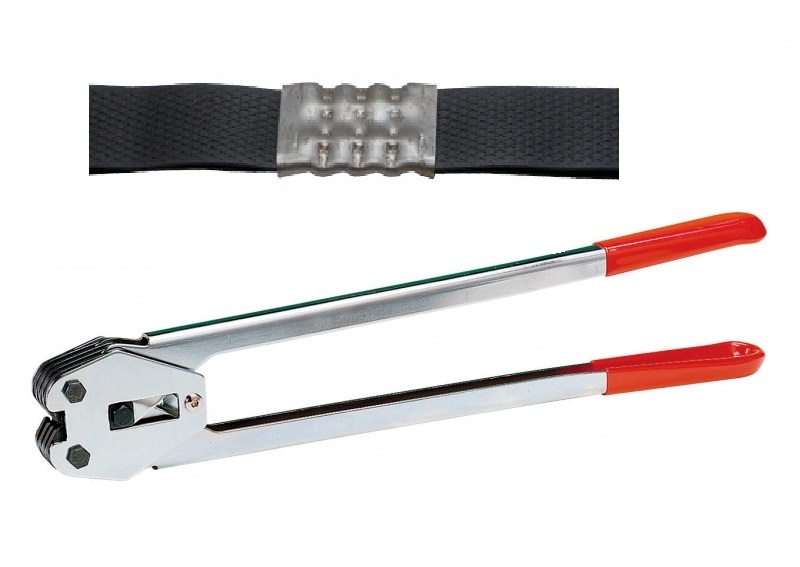 Hand operated manual crimper, designed to crimp UP19 metal seals onto 19mm PP (Plastic) strapping. Used in conjunction with P119 or B330 tensioner. Recommended for low to medium volume applications.